doughnut tank – Biscotti and a Ph.D. 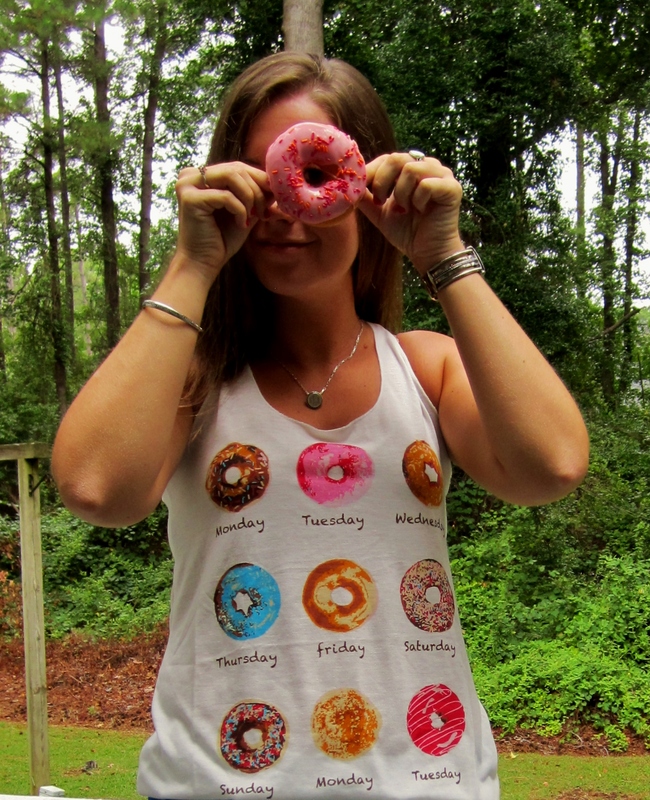 I like wearing doughnuts almost as much as I love eating them, which means I immediately fell in love with this doughnut tank from elle & k boutique. I usually wear this tank with jean shorts, but I thought it would be fun to dress it up and bring out the colors of the doughnuts with some bright blue and pink. This doughnut tank never fails to make people laugh and/or smile! A doughnut a day is definitely my motto. If you need to get your doughnut accessory/clothing fix, I’ve linked some of my favorites below!